Friends, The Scop is about to get a LOT more busy in 2018! In the meantime, here's a video of me talking about an upcoming event I'm doing at the Pittsburgh Humanities Festival on March 4. If you've ever wanted to see my school visit presentation -- here's your chance. Bonus: I do a fancy yoyo trick at the end! The Magic of Storytelling - Previewing the 2018 Pittsburgh Humanities Festival with Jonathan Auxier (WQED) from The Pittsburgh Cultural Trust on Vimeo. 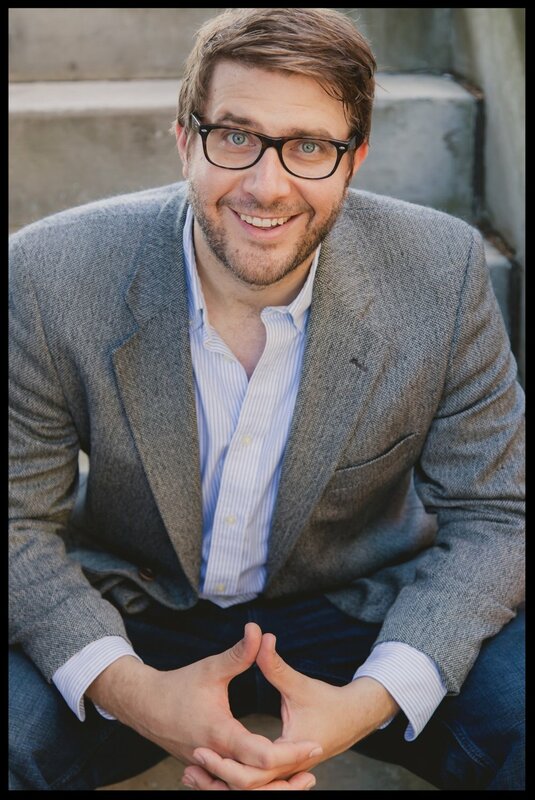 Jonathan Auxier - 2017 Alumni Distinction Award Recipient from TWU Alumni on Vimeo. This weekend, we had an impromptu Last Unicorn party with my daughters and their similarly-unicorn-obsessed friend. We watched the movie, of course, but there was also dress-up and a tabletop RPG session, which I ran for them. My kids are 3 and 5 years old, and it can be challenging to teach certain board game mechanics to kids so young (especially when they can't yet read). Over the last year, I've come up with a few rules that have helped games with young players. We've been using the fantastic Mice and Mystics as our base game. I love it because it looks like Redwall and has pretty child-friendly theming: the scariest monsters they will encounter are giant spiders and centipedes. Use a Dice Arena -- kids are sloppy with dice, and this keeps things from knocking over board pieces. We use shallow Tupperware container, nothing fancy. Kids Get Unlimited Movement -- Turns out it's hard to explain to a three year old that her character can't get far enough away from a Warrior Rat to stay alive. So now I let them move as far as they want. The monsters that I control have speed determined by dice. Re-Rolls and Healing -- In Mice & Mystics, each die has a piece of "cheese," which they can spend to use special powers. My kids can't read the special power cards, so I just made a rule that they can always spend cheese to re-roll. This helps the kid with bad rolls to not get too discouraged. I would also let them spend the cheese to heal damage, which was essential because rule #3 meant monsters deal a LOT of damage! Add Candy -- A recent change that was a BIG hit was to replace the little "cheese" tokens with mini-marshmallows, which they have to eat when they spend them. It actually created some serious "marshmallow test" drama wherein they had to decide between eating and saving this valuable resource. Stabilize Between Encounters -- After each skirmish, I make the kids explore the room and always ensure that they discover a cache of marshmallows to heal themselves. This was also a way to make sure the player who was a little more harassed or left out had a chance to have a big win: they were the one who managed to find the hidden stash. Keep it Short -- Tabletop RPGs often skew long, but I've found that a 30-40 minute session works best. Really, this is all about seeding a board game addiction, and the best way to do that is to leave them wanting more. The landscape of fantasy storytelling is changing rapidly. “World-building,” once the exclusive domain of fantasy novelists, is now a term more closely associated with movie and video game franchises. Special effects now rival anything we could imagine while reading on our own. And so perhaps fantasy literature will be forced to do what every medium must when challenged by something new: adapt. Just as the still camera set painting on a path toward abstraction, fantasy literature seems poised to move away from virtuosic world-building toward more interior and language-based storytelling — the sorts of things books do best. To hear what I thought of the two books, I invite you to click the link to read the entire review. It was incredibly fun and far more challenging than I anticipated. I hope to do it again some time! The main rule is: Don't ever give the reader information until the reader wants information. Manipulation is your friend here. Tease the reader with the possibility of a answer and then cut that answer short. It helps if your hero is in the exact same position of ignorance as the reader, because then they can become a proxy for the reader's frustration. Make the hero FIGHT for answers so that when she finally gets them, it's a kind of victory. And even when you do explain something, don't explain everything. Tell just enough to keep the story moving forward. Because at the end of the day, that's the exact amount of info that the reader wants (and not a word more). Another trick, always make sure that your "answers" generate even bigger questions ... thus putting the reader back on the hook. Consider the first Harry Potter book. Re-read those first fifty pages and you see how brilliantly Rowling manipulates readers. The first Hogwarts acceptance letter shows up at the Dursleys, and we're mildly curious what it might be. But then the letter is destroyed before we can read it! As is the next letter, and the next ... It's not until page fifty-five(!) that Hagrid tells us that Harry is a wizard. By the time we read that actual letter, readers are practically drooling. There's a lot more to say on this subject, but the above is a good place to start! This month, a remarkable children's book was released into the world. I've been a fan or Laurel Snyder's writing for many years, but her latest book Orphan Island is on a different level. This is the sort of book that keeps other authors up at night. It's THAT GOOD. I was asked to provide a blurb for the back cover of the book. Here's what I said: "Orphan Island is a masterpiece—both timeless and immediate. Snyder’s book, like the island within it, contains all of the joys, wonders, and terrors of childhood. Every young reader needs this book; every grown reader needs it even more." What to read after Peter Nimble? Brimming with dragons, goblins, and logic puzzles, this middle-grade fantasy adventure is perfect for readers who enjoyed The Princess Bride or Rump. THE BOY is a nameless slave on a mission to uncover his true destiny. THE GOBLIN holds all the answers, but he’s too tricky to be trusted. PLAIN ALICE is a bookish peasant girl carried off by a confused dragon. And PRINCESS ALICE is the lucky girl who wasn’t kidnapped. The Luck Uglies is the first in a tween fantasy-adventure trilogy brimming with legends come to life, a charming wit, and a fantastic cast of characters-and is imbued throughout with the magic of storytelling. Strange things are happening in Village Drowning, and a terrifying encounter has Rye O'Chanter convinced that the monstrous, supposedly extinct Bog Noblins have returned. Now Rye's only hope is an exiled secret society so notorious its name can't be spoken aloud: the Luck Uglies. As Rye dives into Village Drowning's maze of secrets, rules, and lies, she'll discover the truth behind the village's legends of outlaws and beasts...and that it may take a villain to save them from the monsters. This season has been one of re-reading books from my past. This was not deliberate; it just seemed that every time I reached for a new book, the closest at hand was one I had read before. I do not generally re-read books that often. Every five years or so, I find something that impresses me so much that I read it twice over. (Hokey Pokey would be the most recent example.) But beyond that, all my re-reading is the result of research or teaching. My typical attitude is breadth over depth. I tend to read one book from an author and then move on to the next thing. However, this recent sprint of re-reads has forced me to reflect on what a pleasure it is to come back to a book after time off. To live inside a story more than is absolutely necessary. When I was younger, I re-read books all the time. At around 10 years old, I fell deeply in love with Through The Looking-Glass. (It actually began when I saw a staged musical version of the story.) I proceeded to read chapters from Looking-Glass every night before bed for the next 10 years. Now, when I look back that same book, I struggle to understand why it had so grabbed me. But I do feel a deep appreciation for the book and how it shaped my imagination. When I think of re-reading, I am reminded of something Jacqueline Woodson once said in an NPR interview. Woodson was being asked to remark about the fact that her older sister was actually the serious reader in the family--and how strange it was that Woodson ended up being the one to devote her life to literature. I don't have the transcript, but I recall her saying something about the fact that even though she did not read many books growing up, when she did read, she went deep. That's something I can identify with. And it's something I had forgotten about as of late. This week I found myself briefly stranded without a book, and so I to re-read Malcolm Gladwell's David and Goliath. The book was published in 2013 to largely negative reviews. Reviewers seemed to have tired of his charmingly counterintuitive self-help busines-speak. Many rightly criticized the book for feeling disjointed ... what begins as a motivational talk about entrepreneurs overcoming dyslexia soon migrates to much heavier topics, including child leukemia, civil rights, religious war in Northern Ireland, child abduction/murder, and even the Holocaust. The overall response from readers seemed to be that Gladwell was getting too lofty: better to stick with what you know. Reading the book in 2017, however, I had a different reaction: the weakness of David and Goliath isn't the heavy stuff, it's the fluff at the beginning. (I would include the title among the fluff.) In 2017, the second half of the book is chilling. Nearly every example has profound resonance with the current state of the world. And it seems to go a long way toward explaining why many of the conflicts we find ourselves in are simply unwinnable. It is also a more personal book; Gladwell experienced a sort of personal religious conversion while writing it. Reading it this week, I was struck by how much more human and vulnerable the stories were. The question that rang through the final chapters was, for me, clear: Would you be willing to suffer the way these people have suffered? Unlike Gladwell's previous books, David and Goliath is unable to offer up a glib "takaway" that readers can apply at their next board meeting. I suspect a message as bleak as this had no real place in the (comparatively) optimistic world of 2013. But in 2017 the book feels almost therapeutic. It recognizes that there's no easy hack to fixing certain kinds of conflicts. Instead it offers a different kind of message: it asserts that suffering creates people able to truly risk themselves in order to do what is right. In a world full of so much wrong, we need people like that. Those are what history will call heroes. I have a lot of readers ask my why I write about characters with missing or dead parents. My jokey answer is "because then no one can ground them." But the real answer is much more complicated. It has to do with how extreme loss conditions a person--preparing them to endure extreme pain in the future. My characters suffer over the course of their stories, and to me it seems more cruel to put an unscarred and unprepared person into such dire circumstances. I'm grateful for this book because the next time someone asks the "Why Orphans?" question, I will have a better answer. UNRELATED: Those who like Gladwell might enjoy his very excellent podcast series, Revisionist History. I especially enjoyed his episodes about the evolution of Leonard Cohen's "Hallelujah" and his exploration of Generous Orthodoxy. 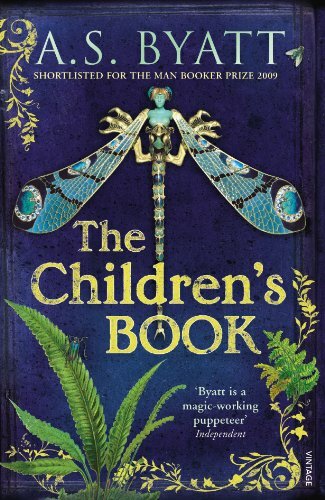 I've just finished reading AS Byatt's The Children's Book, which is not a book for children. It is a sprawling, virtuosic chronicle about idealistic artists at the turn of the 20th century. The "main" character is based on real-life children's author E Nesbit (named Olive Wellwood) and the book primarily concerns itself with Olive and her family. I'm a big Nesbit fan, so this book was fascinating. The thing that most struck me in the book was the fate of Olive's oldest and most beloved son, Tom. Tom is beautiful and smart and kind and innocent: he is presented as a character from a book caught in a harsh world. The novel shows Tom's tragic decline as the victim of betrayal: abuse, cruelty, deception, parental infidelity, and (implied) addiction. But none of these are what kills Tom. Instead, it is his mother's writing that drives him to suicide at the end of the book. Since he was a small child, Tom's mother has been writing him a special storybook ("Tom Underground") that was written just for him. As Tom grows up and becomes more and more troubled, these stories serve as a sort of life-line for him. But then his mother mines these private childhood stories in order to create a beautiful and successful stage play. Tom only discovers this on opening night, when he's watching from the audience. Shortly after, he drowns himself. The book has many disturbing elements, but this was the most disturbing by far: that the selfishness of Olive Wellwood in her writing harmed her son more than anything else. This mirrors a real-life tradition of authors publishing private stories originally created for/with children: Christopher Robin, Alice Liddell, the Davies Boys, etc. None of those children fared well in adulthood. I've never quite understood the nature of such trauma. Like many others, I have always assumed that there must be some other explanation for why the children grew up to be bitter and miserable. (There is no shortage of speculation about abuse.) But Byatt argues in The Children's Book that commodifying and publicizing the private worlds of a child's imagination is trauma enough. Byatt forces readers to ask if the cost is too high. Yes, we have Winnie the Pooh, Alice in Wonderland, and Peter Pan, but those masterworks came at the expense of real people's happiness. I consider myself a loving father and husband, and I certainly do no conscious harm to my children. But I have always been unapologetic about using details from real life in my books--it's all fair game if it serves the story. Byatt's novel made me reconsider this long-held stance, which is no small thing. This last week for my Children's Literature course, we read Treasure Island. This is a book I have loved for a long time -- the character of Old Pew was a major influence on Peter Nimble. Recently, I had students watch a lecture by Mike Hill about the subtextual themes of Jurassic Park. Hill does a great job explaining how great stories contain a primal/Jungian undercurrent that runs beneath the surface plot -- in the case of JP it was about the anxiety of creating a family. The lecture paid off nicely while discussing Treasure Island this week. When we look at Jim Hawkins' journey through Hill's lens, it becomes clear that Treasure Island is the story of a boy who has lost his father and refuses to accept that reality. And so he searches for replacement father figures, all of whom disappoint him in different ways until he can finally accept the truth: he is no longer a child. "Jim," the doctor interrupted, and his voice was quite changed, "Jim, I can't have this. Whip over, and we'll run for it." "Doctor," said I, "I passed my word." "I know, I know," he cried. "We can't help that, Jim, now. I'll take it on my shoulders, holus bolus, blame and shame, my boy; but stay here, I cannot let you. Jump! One jump, and you're out, and we'll run for it like antelopes." "No," I replied; "you know right well you wouldn't do the thing yourself--neither you nor squire nor captain; and no more will I. Silver trusted me; I passed my word, and back I go." This is the defi ning test of Jim's character -- a moment where he places the integrity of his word as an English Gentleman over even his life. For those interested, you can see the Hill lecture pasted below. It's worth checking out! THE BURNING TIDE - in stores today! Earlier this year, I took a break from my own novels to play in someone else's sandbox: The Burning Tide is the heartstopping conclusion to the blockbuster Spirit Animals series. These books are all written by different authors--including names like Shanon Hale, Garth Nix, Brandon Mull, and Marie Lu. Fans of the books are also encouraged to log onto Scholastic's site, where there's a pretty impressive video-game world that fills out the experience. Click here to read an excerpt of the first three chapters. It was great diving into the world of Spirit Animals ... hope you enjoy! 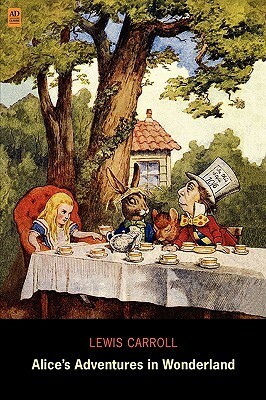 When I teach my Children's Literature course, I always start with a lecture on the "Golden Age" of children's literature--starting with Alice's Adventures in Wonderland and ending (to my thinking) with Peter & Wendy. I wrap up the lecture by identifying six Golden Age children's authors who set the template for what the genre would become in the century to follow. On the list is L Frank Baum, who I credit with creating something that has perhaps had the greatest impact on contemporary storytelling: platform worldbuilding. The 1939 movie has made such a cultural impact that it's hard to remember the Oz books for what they really are. Baum's books weren't just about Dorothy and Toto. There were dozens of Oz stories containing hundreds of characters. The books continued even after his death. Baum himself wrote 18. They were published around the holidays and it was a tradition among children to get the new Oz book for Christmas. He wasn't just telling a single story, Baum was building a WORLD. Storytelling utilizes three main tools: character, setting, and action. At various points in history, popular stories have emphasized one or another of these elements. Presently, we are entering an age that celebrates setting above all. Today we value not just compelling narratives (Shakespeare) or characters (Dickens), but settings rich enough to contain a multitude of characters and plots. Think of visionaries like Tolkien, Gygax, Lucas, Roddenberry, Jack Kirby -- their legacies are not single narratives so much as entire universes. Part of the reason this brand of storytelling has ascended is because it allows the creation of franchises--which are very valuable. Another bigger reason is because it fits more seamlessly into interactive storytelling (video games); what is World of Warcraft if not an ever-expanding narrative landscape? One might argue that Scott or Homer worked within this tradition, but I think the real innovator was Baum. In Oz, Baum created a place that could contain infinite stories ... which was a pretty radical concept at the time. So the next time you see yet another Star Wars movie in the cineplex, or yet another version of Zelda at Gamestop, thank Baum. or curse him. A lot of thought goes into the selection of a reading list. 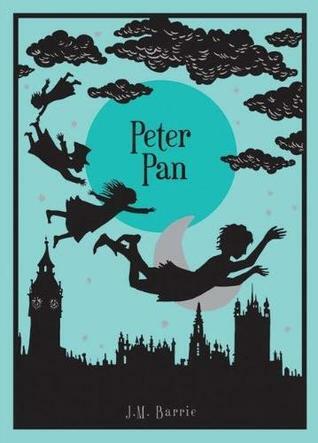 Even the best books can get stale over time, and it's important to strike a balance between books that teach well (Peter Pan, Charlotte's Web) and books that excite me (A Monster Calls, Crenshaw). This year, I decided to multitask and include a number of books that tie into my own current work in progress ... which is to say that there are CLUES about my next novel buried in this list! I'm a New York Times Bestseller!!! Woke up this morning to find that The Night Gardener had made the NYT Bestseller list!!! Jonathan Auxier's mother, Doris Hutton, was raised on a wheat farm in a remote part of North Dakota. Hutton grew up in a strict and hard-working Catholic family where books and education were not the top priorities. Somehow, Hutton became an avid reader, even though she had limited access to books and no one with whom to share her love of reading. By the time she was 15, she had read every book in the area's tiny library. There was literally nothing left for her to read. “Every time she would tell me about that, I would always add a ‘what if' to it,” says Auxier, the author the new young-adult novel “Sophie Quire and the Last Storyguard” (Amulet Books, $18.95). “I literally imagined, what if she found one last book and if it was more than just a story. Long before humans walked the land, it came to Erdas. Wicked, patient, and hungry, it has slept beneath the surface of the world. Now the Wyrm is awakening. Conor, Abeke, Meilin, and Rollan are four heroes who are split between worlds, braving separate paths in order to stop this evil. With a strange and unlikely new group of allies behind them, the young guardians have a real chance at saving their home—but they will have to move fast. An ancient trap exists, hidden within the folds of Erdas itself. Though it has the power to end this war for good, the means of starting the trap have been lost. The young heroes only have one shot. They must work with their spirit animals to uncover a secret older than time. If they can’t, then everything will be consumed.